Our independant hop team is bringing you delightful birthday creations! your way through, to see all the inspiration we have to offer. The whole line up will be provided at the end of this post. 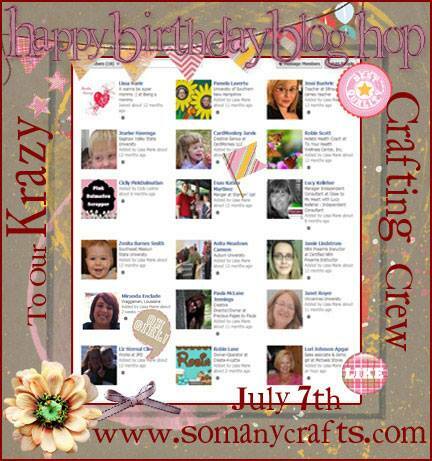 Happy Birthday to all my crafty friends and teammates! visit again, we have hops with new themes every first Sunday of each month. Thank you for stopping by and hopping with us! We love to inspire you so be sure to come back for more! What a lovely card! Happy birthday! Beautiful card! I am excited to be joining you guys for the first time and looking forward to forging new bonds! I heard about the hop from Ellen. Such a nice story. I am at the beginning of my blog hop journey with one under my belt and I can identify with all of the gitters. Hoping my story turns out just as well as yours! Thanks for the giveaway! Off to follow you and complete the hop! 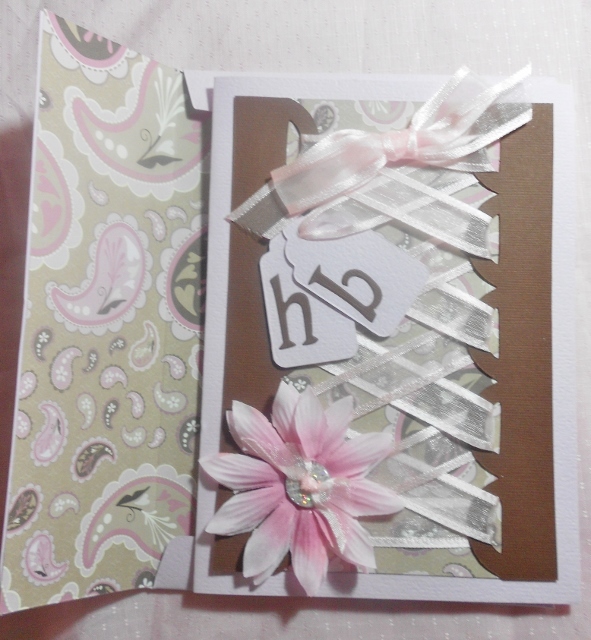 What a fun ribbon card!! Happy Birthaversary - so glad I get to join this awesome group!! I am sorry Pam I thought I commented here first.. I do love the card, like you said being here is what matters. It is gorgeous and worth showcasing! Love your pretty ribbon work. TFS.